The FEMB have appointed Colin Watson as its first permanent Secretary General. The Federation represents the interests of the Office Furniture industry in Europe and have member Associations in Austria, Belgium, France, Germany, Italy, Poland, Spain, Sweden, Turkey and the UK. 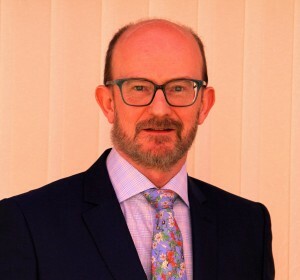 Colin Watson is no stranger to the Office Furniture sector or the FEMB as for eight years he was Managing Director of the British Contract Furnishing Association (BCFA) in the UK and acted as Secretary General of the FEMB between 2014 and 2015. He is one of the most respected and knowledgeable professionals in the contract furnishing industry and previously held board positions with European office furniture businesses. The role as Secretary General is an important step in supporting the European industry as a powerhouse in world markets and improving the many standards in manufacturing, performance and the environment. “I, like many of my colleagues in the FEMB are passionate supporters of the Office Furniture industry and an immediate priority is the introduction of the Level sustainability programme, which has been in development for a number of years and will see the first accredited companies early in 2017”. Economic factors are also a focus and the promotion of European products in world markets will be a task for the FEMB Marketing Group. “With production in Europe of over €8bn and export trade in excess of €1bn, this is a significant industry whose prosperity is enhanced by the actions of the FEMB and its members”. FEMB President Tomas Ekstrom from Kinnarps is delighted that Colin has been able to take up the role. “The Federation board were unanimous in their decision to appoint Colin. He has been a valued colleague for a number of years and has an intuitive understanding of the European market.”.